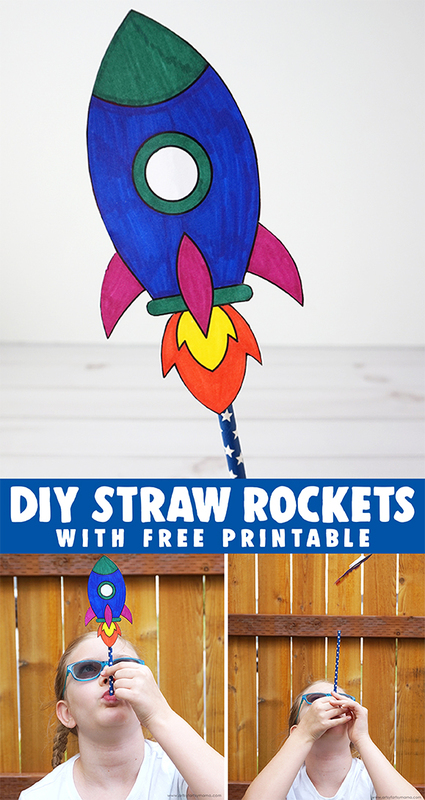 These Straw Rockets (with free printable) are a blast and a great STEM activity! 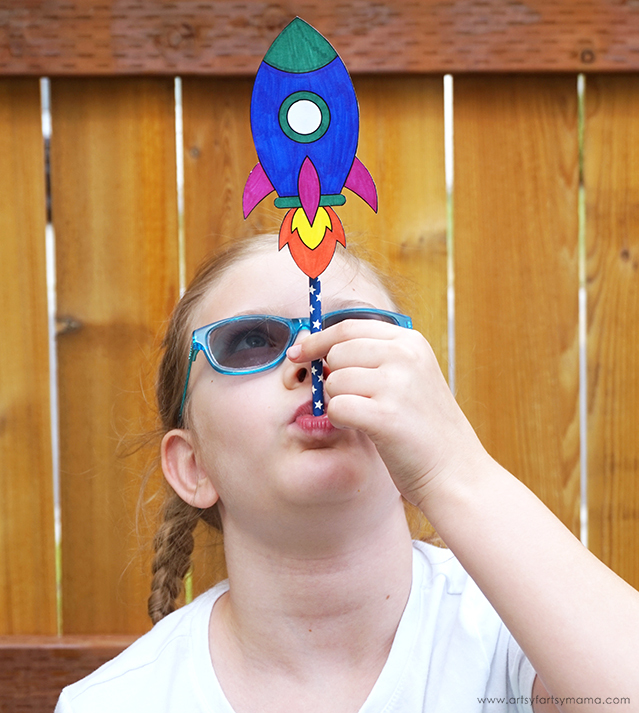 DIY Straw Rockets is a fun STEM/STEAM (science/technology/engineering/(art)/math) activity that is fun for kids of all ages, especially for classroom/homeschool students. 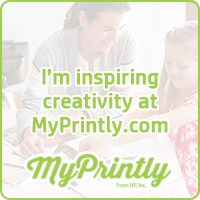 Not only is it educational, but it's an easy project that is very approachable for the beginner crafter, and even younger kids who aren't in school yet! 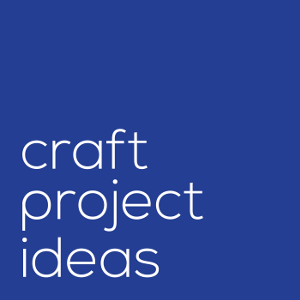 I really love that we can get both craft supplies and STEAM project materials at Michaels. 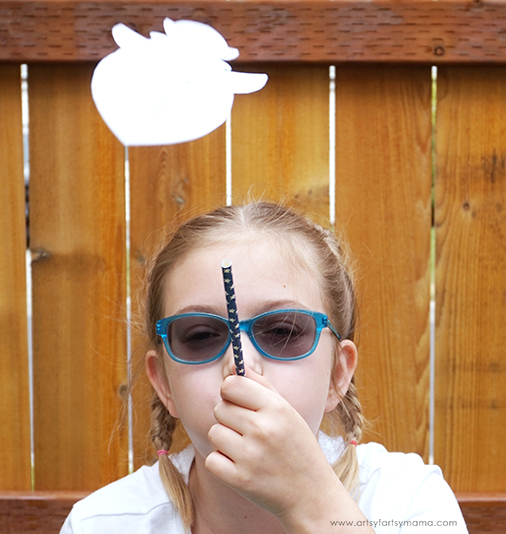 This activity is a clever way to make science fun for kids. They'll learn to be creative while learning space, physics, how things fly, and is the perfect opportunity to introduce Newton's First Law of Motion: An object will stay at rest or in motion in a straight line until some force acts on it. 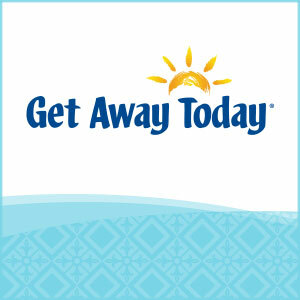 It's also a fun activity to keep the kids entertained on a rainy day! 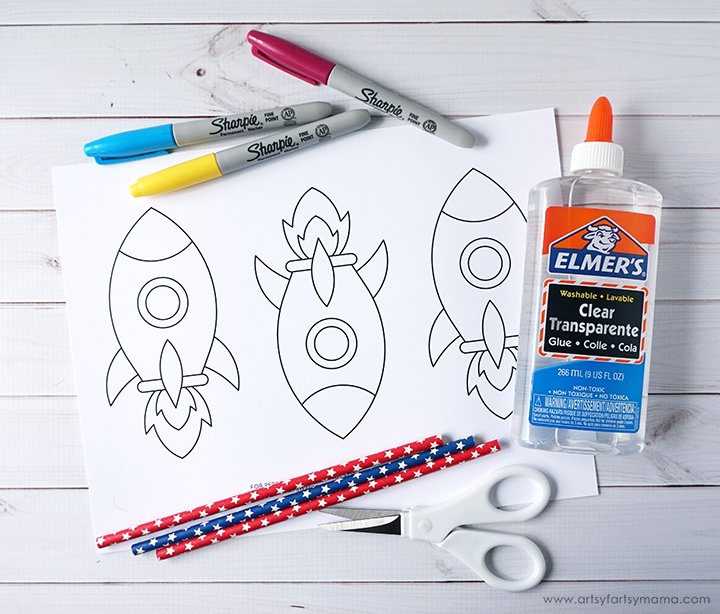 Download the Free Printable Rocket Template and print on white cardstock for best results. 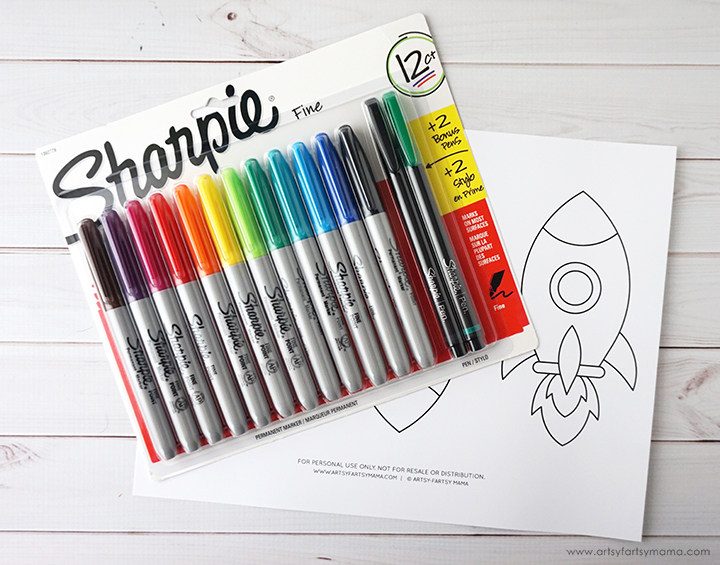 Design your own rocket using Sharpie Fine Markers in your favorite colors! 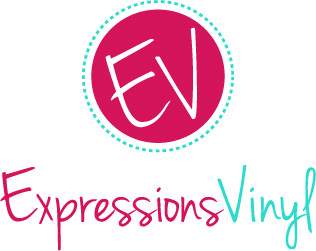 Kids of all ages will have a great time with this step, and it adds the art element to STEAM. 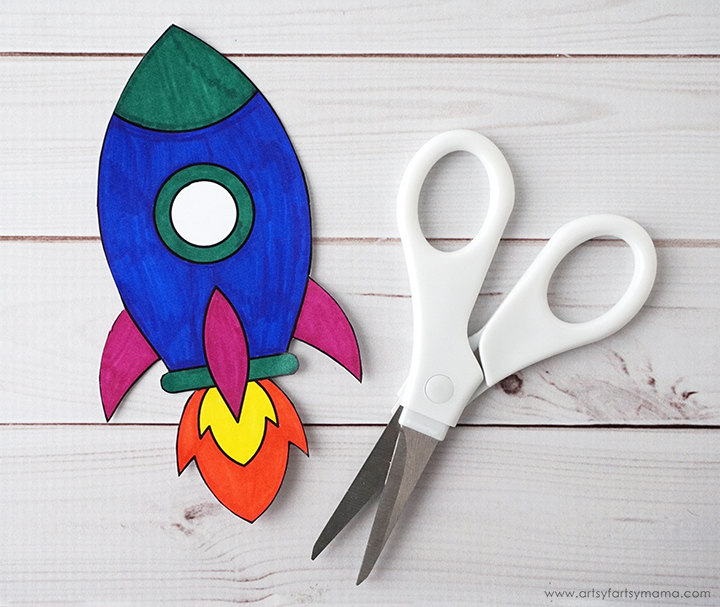 Use scissors to cut out the colored rocket. 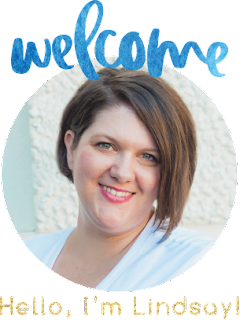 Younger kids will require help from an adult with this step. You'll need two different sized straws for this project, one with a larger diameter than the other. We used an 8mm paper straw (skinny straw) and a clear, plastic 9.5mm straw (regular straw). Set the smaller straw aside. Cut a 2" long piece of the larger straw. Place a piece of tape over the top and around the top edge to seal one side of the straw. 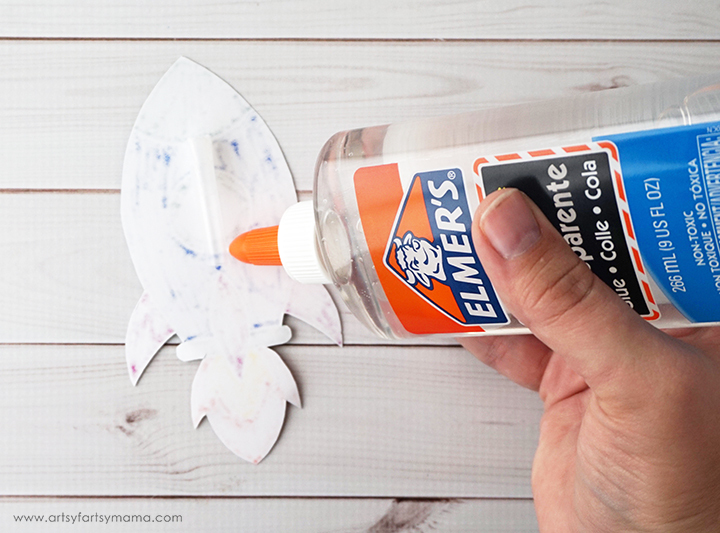 Add a thin line of Elmer's Clear Washable School Glue on the back of the rocket. 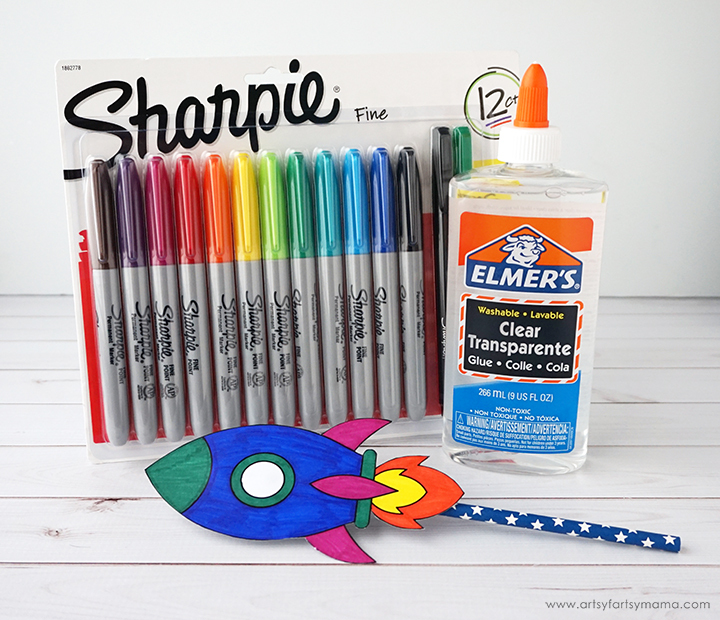 Place the straw over the glue, with the capped end toward the top of the rocket. Let the glue dry completely. Place the smaller straw into the back of the rocket and make everything is secure. The rocket is ready for takeoff! Build more rockets with your friends, family, or classmates and make it a competition. To launch the rocket, tip your head back, and put the straw in your mouth. 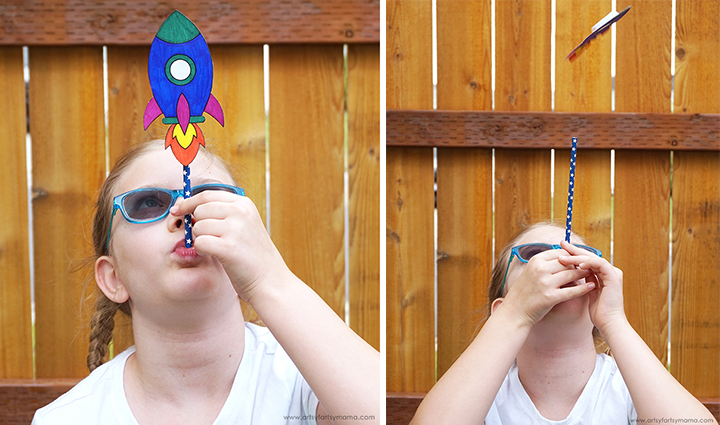 Blow a big puff of air into the straw and watch your rocket fly through the air! 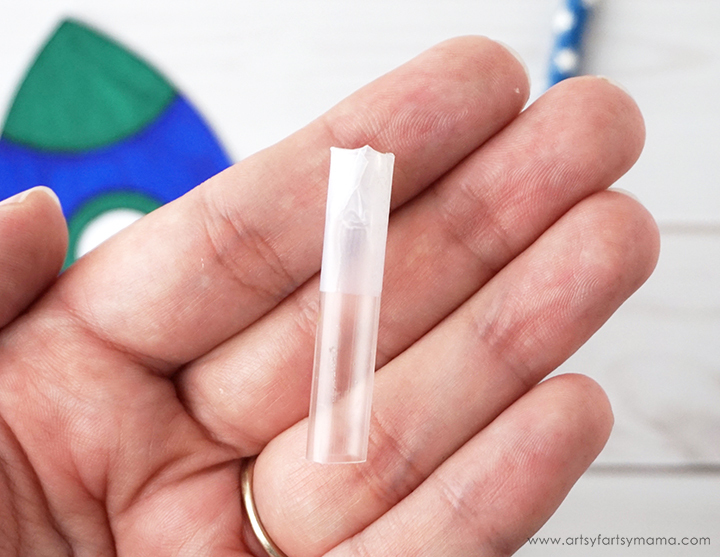 When you blow air into the straw, it travels to the end of the sealed straw segment. The air pushes its way out, taking the rocket and straw segment with it. 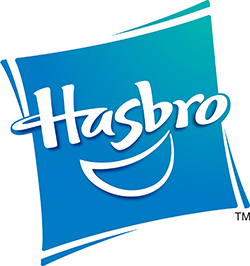 The harder you blow into the straw, the more energy the air has - which means the further your rocket will fly! There are two forces acting on the straw rocket. The force from blowing air through the straw is pushing the rocket forward, while gravity is pulling it down. These two forces combined make the rocket fly in a curved movement (up, then back down). You can learn so much by trying different techniques with the rocket! Try pointing the straw at different angles and blowing harder/softer to see how the flight trajectory changes. 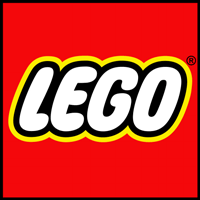 What makes the rocket fly the farthest? The highest? Add weight to the rocket using paper clips. Does this affect the rocket's trajectory? What else could you change on your rocket to affect the flight? 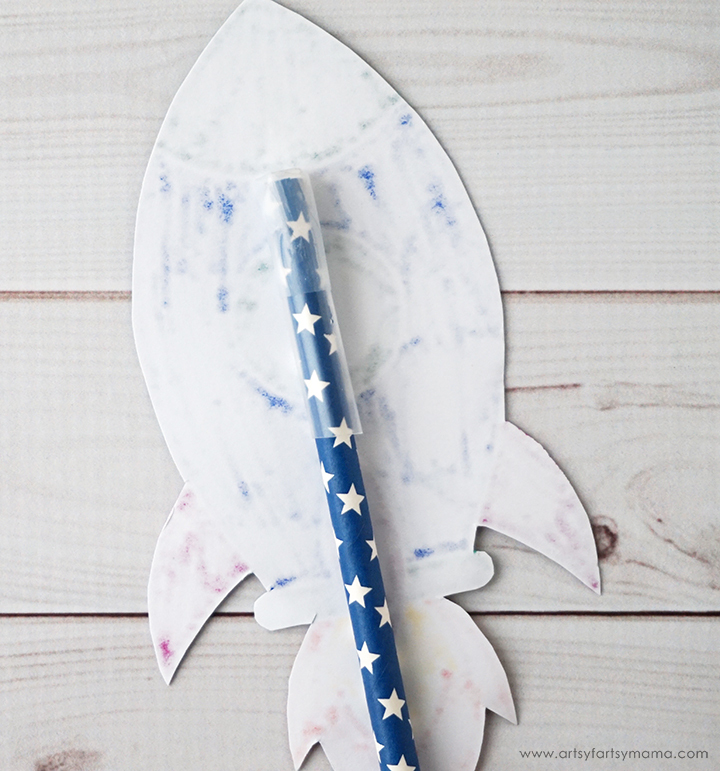 Whether you're teaching kids or just want something fun to do, head to Michaels to pick up the supplies to make your own DIY Straw Rockets! 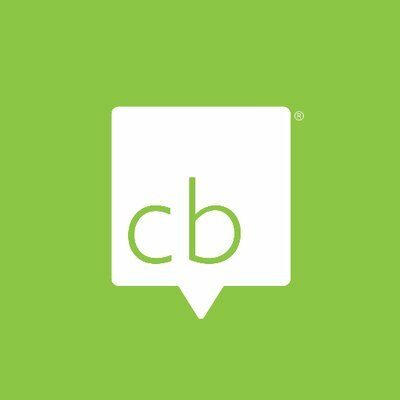 The kids will love it and you'll be happy that they are learning something new.